A ferry has collided with at least two yachts while trying to berth at Cowes Harbour, on the Isle of Wight, said the Maritime and Coastguard Agency. HM Coastguard received a 999 call early on Sunday morning from a member of the public who said he'd heard "cries of help" from the harbour. A search operation hindered by heavy fog was forced to turn back but lifeboats from the towns of Cowes and Calshot are assisting in the search. In a tweet, the coastguard said that nobody was in the water or missing as a result of the collision. 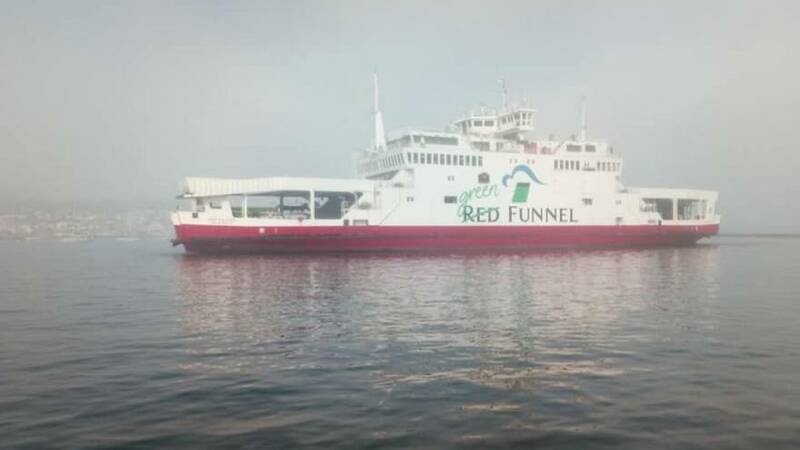 They added, the Red Falcon ferry has been refloated with the assistance of tugs and is now alongside its berth. Passengers and vehicles are being discharged at East Cowes.